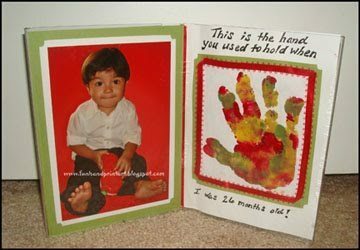 This is the hand you used to hold when I was 26 months old! I had been looking for an excuse to use this photo (look at those little feet!) and it goes perfect with his handprint ~he’s actually younger in the picture. That is adorable. What a perfect gift. 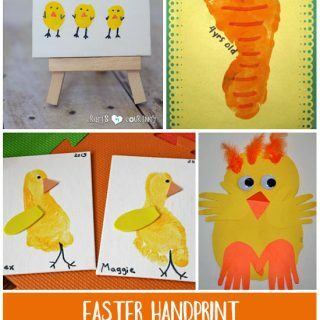 I think this is what we will be making for Mother&#39;s Day in my preschool class. <br />Thanks for sharing. That is such a great idea! 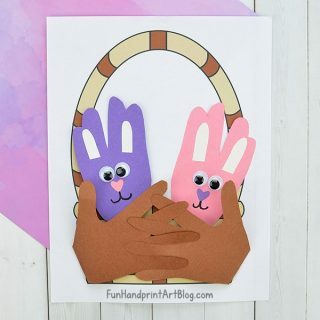 It turned out really cute, too! 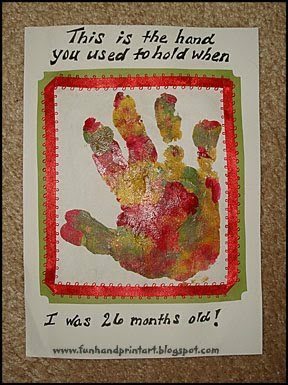 I keep meaning to post my handprint project that I had Juliet do for Christmas–it was inspired by your site!